Outline: Due to cost-efficiency and less hands-on management, data owners are outsourcing their data to the cloud, which can provide access to the data as a service. However, by outsourcing their data, the data owners lose control and privacy, as the cloud provider becomes a third party service provider. At first, encrypting the data by the owner and then exporting it to the cloud seems to be a good approach to preserve the privacy. However, there is a potential efficiency problem with the outsourced encrypted data when the data owner revokes some of the users' access privileges. An existing solution to this problem is based on symmetric key encryption scheme but it is not secure when a revoked user rejoins the system with different access privileges for the same data record. In this talk, I will discuss an efficient and Secure Data Sharing (SDS) framework using a homomorphic encryption and proxy re-encryption scheme that prevents the leakage of unauthorized data when a revoked user rejoins the system. I will also discuss modification to the underlying SDS framework and present a new solution based on the data distribution technique to prevent the information leakage in the case of collusion between a revoked user and the cloud service provider. A comparison of the proposed solution with existing methods is provided in detail. Furthermore, I will demonstrate how the existing work can be utilized in the proposed framework to support secure query processing. I will provide a detailed experimental analysis of the proposed framework on Amazon EC2 and discuss its practical relevance. Bio: Dr. Sanjay Kumar Madria received his Ph.D. in Computer Science from Indian Institute of Technology, Delhi, India in 1995. He is a full professor and Associate Chair for Research in the Department of Computer Science at the Missouri University of Science and Technology (formerly, University of Missouri-Rolla, USA) and Site Director, NSF I/UCRC center on Net-Centric Software Systems. 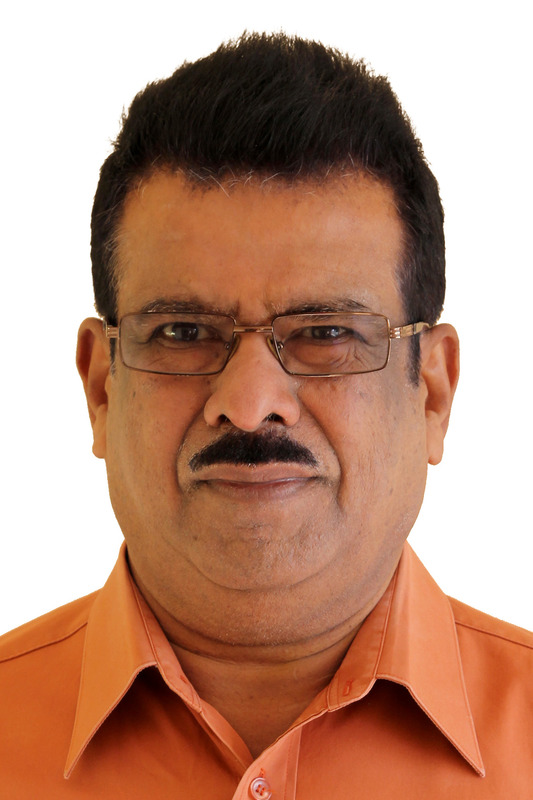 He has published over 200 Journal and conference papers in the areas of mobile data management, XML Data Management, sensor computing, cloud and cyber security. He won four IEEE best papers awards including IEEE MDM 2011 and IEEE MDM 2012. He is the co-author of a book published by Springer in Nov 2003. He has served/serving in International conferences as a general co-chair, pc co-chair, and steering committee member (like for MDM, SRDS and others), and presented tutorials in the areas of mobile data management and sensor computing. He has also been awarded JSPS (Japanese Society for Promotion of Science) visiting scientist fellowship in 2006 and ASEE (American Society of Engineering Education) fellowship at AFRL from 2008 to 2014. In 2012, he was awarded NRC Fellowship by National Academies. He received faculty excellence and research awards in years 2007, 2009, 2011 and 2013 from his university for excellence in research, teaching and service. He served as an IEEE Distinguished Speaker, and currently, he is an ACM Distinguished Speaker and IEEE Senior Member as well as IEEE Golden Core Awardee. Outline: The emerging the Internet of Things (IoT) landscape is transformative and vast and presents huge potential. 'Things' such as cars, sensors, controllers, TVs, machinery, electrical appliances and more will become smarter and be connected to others through the Internet. The sensing and control capabilities of things together with the ability to share, integrate and analyse data they generate facilitates deployment many new applications and services that were unimaginable till recently. The IoT is poised to reengineer and transform everything -- business, industry, healthcare, and personal and social life - again, as computers, mobile devices and the Internet have done. This talk will present a panoramic view of the emerging IoT landscape and its five key segments and discuss its potential. It'll then highlight a few application scenarios and outline the challenges, issues and barriers facing the realization of its potential. Finally, it will discuss the skills set required to master the IoT landscape and outline a research agenda to work on. Outline: The development of a modern MMOG is a challenging and costly process. MMOG are very large distributed applications, sharing very large states, and supporting communication between potentially thousands of player nodes. Despite the development of many solutions to define suitable architecture and communication protocols and enabling efficient deployment of these types of applications, many issues remains which still require a solution. In this talk we will discuss the issues relating to scalability in MMOGs and some of the main design choices that must be made when constructing a scalable MMOG including Load Balancing, Area of Interest Management (AoIM) schemes and the distribution and communication protocol which are to be applied. We introduce an updated survey of the state-of-the-art of AoIM and Load Balancing in Online Games. We identify keys issues in the development and deployment of such architectures and systems, and we analyze the main features of the state-of-the-art of existing solutions. The talk will provide a novel perspective in understanding the limitations of existing solutions and discussing the design criteria for an alternative approach to alleviate scalability, communication and security issues. 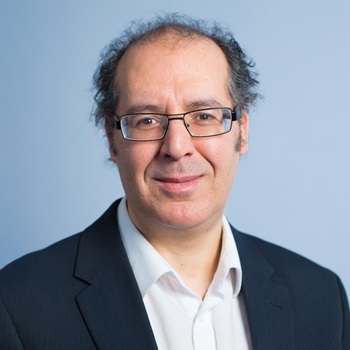 Bio: Abdennour El Rhalibi is Professor of Entertainment Computing and Head of Strategic Projects at Liverpool John Moores University. He is Head of Computer Games Research Lab at the Protect Research Centre. He has over 22 years' experience doing research and teaching in Computer Sciences. Abdennour has worked as lead researcher in three EU projects in France and in UK. His current research involves Game Technologies and Applied Artificial intelligence. Abdennour has been leading for six years several projects in Entertainment Computing funded by the BBC and UK based games companies, involving cross-platform development tools for games, 3D Web-Based Game Middleware Development, State Synchronisation in Multiplayer Online Games, Peer-to-Peer MMOG and 3D Character Animation. Abdennour has published over 160 publications in these areas. Abdennour serves in many journal editorial boards including ACM Computer in Entertainment and the International Journal of Computer Games Technologies. He has served as chair and IPC member in over 100 conferences on Computer Entertainment, AI and VR. Abdennour is member of many International Research Committees in AI and Entertainment Computing, including IEEE MMTC IG: 3D Rendering, Processing and Communications (3DRPCIG), IEEE Task Force on Computational Intelligence in Video Games and IFIP WG 14.4 Games and Entertainment Computing. Outline: It's no secret that mobile has fundamentally changed the ways that we live, work and play. Mobility is bringing to light important new features and functions required by the mobile workforce. Mobile is having a huge impact on enterprise IT; the mobile world operates at speeds that make old paradigms for application development, security and infrastructure obsolete. As with earlier major transformative shifts in enterprise technology, a proliferation of implementation options and deployment topologies can make the adoption of mobile capabilities a challenge. In this talk I will present an architecture for mobile computing that has evolved based on numerous successful enterprise deployments. I will describe its main features and highlight some of its key differences with traditional architectures. I will end that talk by discussing some of the future trends in mobility that will have an effect on the architecture. Bio: Sougata Mukherjea is the Chief Technologist in the Mobility division of IBM Global Technology Services. Prior to that he was the head of the Telecom & Mobile Research department in IBM India Research Lab. He received his Ph.D. from Georgia Institute of Technology, USA in Computer Science. His research interests include Middleware technologies and its applications to Mobile, Analytics and Visualization. He has multiple patents as well as publications in reputed Computer Science conferences and journals in these research areas. Outline: Due to cost-efficiency and less hands-on management, data Network security is more challenging than ever as the IoT is becoming a reality. The IoT includes everything from wearable fitness bands and smart home appliances to factory control devices, medical devices and even automobiles. Unfortunately security has not been a high priority design requirement for these devices until now. As a results, several new kinds of attacks are emerging, posing serious problems even to the user life. Hence, the need for designing and putting in place automated attack detection techniques, namely anomaly detection techniques, also able to tackle with novel and zero-day attack, is emerging as a hot topic.Nonetheless, most of the literature in the field is still focused on detailing the theoretical aspects of a given method or approach, without providing any insights on the problems that arise from the application of the discussed method in a "real world network" scenario. Starting from this motivation, the objective of the keynote is to present some of the most recent attacks against the IoT, demonstrating why the users must care about the security if their devices and to describe some of the most promising anomaly detection methods, while simultaneously discussing their general limitations. Bio: Dr. Christian Callegari received the B.Sc. and the M.Sc. degrees in telecommunications engineering and the PhD degree in information engineering from the University of Pisa, Pisa, Italy, in 2002, 2004, and 2008, respectively. Since 2005, he has been with the Department of Information Engineering at the University of Pisa, where he is currently a PostDoc fellow, and with CNIT research unit of Pisa. 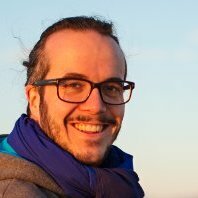 In 2006/07 he was a visiting student research collaborator at the Department of Computer Science at ENST Bretagne, France, and in 2013 he was a visiting researcher in the network security group at Eurecom, France. His research interests are in the area of network security and data privacy, statistical traffic classification, and network traffic analysis. He has participated to several research projects, both at national level and European level. 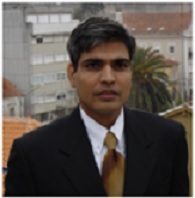 Moreover, he has co-authored more than 70 papers presented in leading international journals and conferences and he is the chair of several workshops and conference and he has given lectures and tutorials about Anomaly Detection and statistical traffic classification in the framework of several PhD courses and in leading international conferences. Outline: Mobile Payments is an emerging service which allows mobile phone users to transfer money in an instantaneous manner to other users/merchants merely by a press of button on their mobile phones. Typically, this service does not involve any bankers in the loop and hence is a perfect solution to boost trades and commerce activities in countries where banking infrastructure is very poor. The business of mobile payment services is growing at an unprecedented rate wordwide. However, the bad news is that this service is susceptible to various kinds of fraudulent attacks and is also an easy gateway for money laundering/terrorist financing activities. In this talk, we uncover some of these challenges faced in practice while designing such a service and possible ways to tackle them by leveraging machine learning techniques. 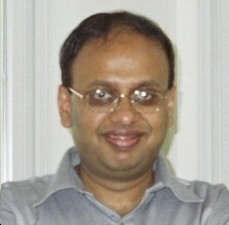 Bio: Dinesh Garg is a Senior Researcher in the Analytics and Optimization group at IBM India Research Lab, Bangalore. His research interests lie at the intersection of data science and economics which include large-scale optimization, machine learning, data analytics, game theory, and mechanism design. To a large extent, his research work has been applied as well as interdisciplinary in nature-trying to blend data science and machine learning techniques into existing body of work on auction theory and incentive mechanism design. The motivation for such a research direction stems from various monetization problems that routinely arise in diverse application domains, including online ad auctions, social networks, crowdsourcing, crowdsensing, and human computation. Prior to joining IBM Research, he worked at Yahoo! Labs, Bangalore as a Scientist in the Computational Advertising group. Dinesh's research has led to awards from the Indian National Academy of Engineering, IEEE (Best Paper), IISc, and IBM Research. Outline: How we can make system intelligent to handle real life problems like water management, energy management and traffic management? How can we solve some of the pressing problems where we want system to learn from multiple inputs? How to make system to classify in dynamic scenario? These are some of the key questions those will be discussed during this talk. We need our Machine Learning to be systemic. We need it is to be adaptive and incremental. What is systemic Machine Learning? This talk will focus on different aspects of systemic ML while stressing on its need. Another aspect of this talk is description of knowledge innovation and practical aspects regarding building such a systemic machine learning solution. The talk will describe some of such systems and products with case studies. This talk will focus on building intelligent products and solutions with systemic classification and Machine Learning techniques. Bio: Dr. Parag is machine learning researcher, innovation strategist and keynote speaker. Through his research in ML, strategic consultations and innovative leadership Parag turned around fortune of more than one dozen startups in last two decades. Parag is Founder and CEO of the EKLaT. He holds PhD from IIT Khargpur and management education from IIM Kolkata. UGSM Monarch Business School, Switzerland conferred DSc - higher doctorate on him for his work on strategic knowledge innovation. He is inventor of over half a dozen patents, published over 250 research papers and written more than one dozen books. Parag is the author of "Knowledge Innovation Strategy - Why Cats don't Take Part in Rat Race" - Bloomsbury, "Reinforcement and Systemic Machine Learning for Decision Making" - IEEE/Wiley and is co-author of "E-Business"- OUP, "AI - Building Intelligent Systems" - PHI, "IT Strategy" - OUP, Mining Unstructured Data - Big Data Perspective and "Deliverance from Success". Parag delivered more than 100 keynote addresses and numerous talks on strategy and managing start-ups and delivered extraordinary impact on strategic perspective of thousands of professionals. Parag is consultant to over two-dozen organizations and has played key part in building more than one dozen commercially successful innovative products. He is visiting professor and Adjunct professor at many institutes of repute like IITs, IIMs. COEP, Masaryk University, etc. He is associated as consultant and mentor with more than one dozen organizations.